Digital Surrogates from the Engineering Scrapbooks, contains digitized scrapbooks including newspaper clippings, programs, invitations, article reprints, and photographs concerning the history of the College; the Railway Engineering program; engineering research; faculty and staff accomplishments and innovations; conferences, events, and symposia; and the activities of women faculty and students. This series also include faculty photograph portraits (1910). Additional scrapbooks from years 1924-1969 are not available online but have also been digitized and can be accessed upon request. 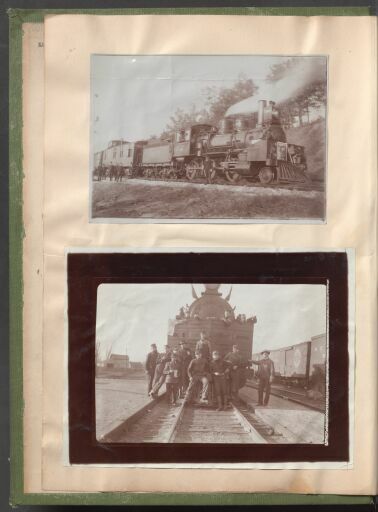 The Engineering Scrapbooks (Digital Surrogates), 1894-1969 are managed by the University of Illinois Archives and do not feature precise descriptive information for each item. Discover their contents by browsing the folders and files. For more information, contact an archivist at illiarch@illinois.edu.